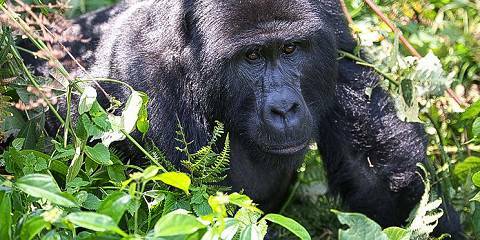 Uganda is a unique destination offering a wonderful mix of savannah and forest parks. 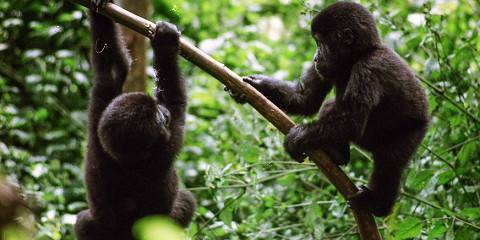 Gorilla and chimp tracking are highlights, but many smaller primates can be seen as well. Uganda also offers great savannah safaris, but not all of the Big Five are present. Black rhino is extinct, and the status of the white rhino was the same until they were reintroduced in Ziwa Rhino Sanctuary in 2005. Cheetah is very rarely seen. 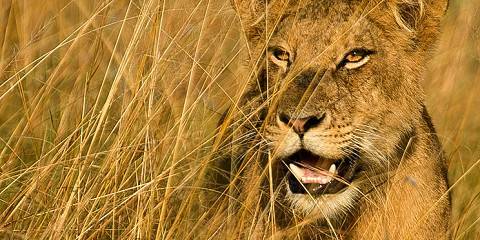 Lion is quite common in Queen Elizabeth and Murchison Falls national parks. They can often be found hunting Uganda kob, which gives them away with their alarm calls. Giraffe can only be found in Murchison Falls, Lake Mburo and Kidepo Valley national parks, while zebra exists only in Kidepo and Lake Mburo national parks and Katonga wildlife reserve. Uganda is also a prime birding destination. Uganda is home to many West African mammal species as well as the more usual East African safari animals. Primates are especially well represented. Patas monkey, red-tailed monkey, De Brazza's monkey, l'Hoest's monkey and grey-cheeked mangabey are some of the specials. The black-and-white colobus is widespread throughout Uganda. Uganda is home to a wide variety of antelope species. The Uganda kob, the national antelope, is a near endemic. The very rare sitatunga antelope is found in six national parks in the country but rarely seen. The uncommon oribi is often seen in pairs in Murchison Falls National Park. The best time for wildlife viewing is in the dry season (December-February and June-September). Some of the roads are impassable during the rainy season (September-November and March- May). 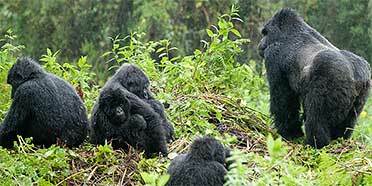 Gorilla can be tracked year round, but the experience can be spoiled – to some extent – by heavy rain in the wet season.